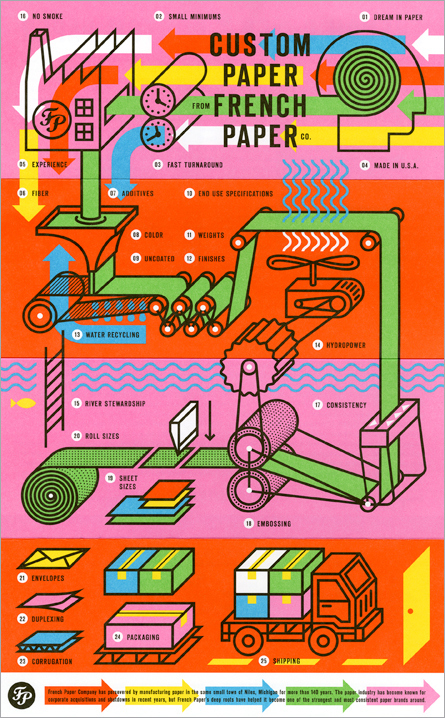 This piece condenses 145 years of papermaking experience into a two-sided, accordion-folded infographic, and it highlights French's custom paper manufacturing capabilities, which are practically unlimited. 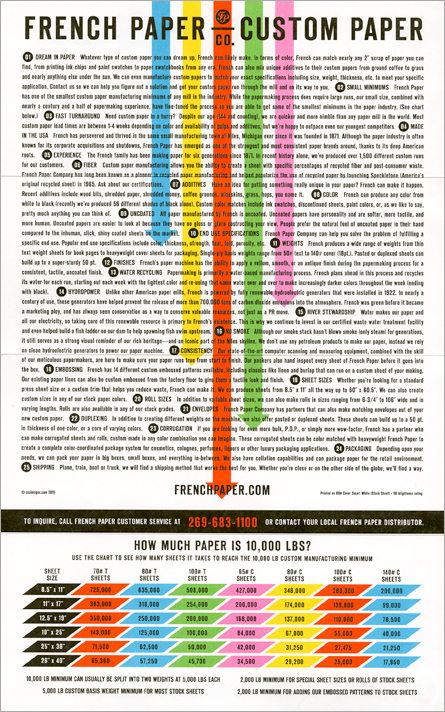 French has the lowest minimums for custom papermaking in the industry and can match any color, weight or texture needed, with nearly any additives when needed (shredded dollars, wood specks, grass, and grapes, for instance). 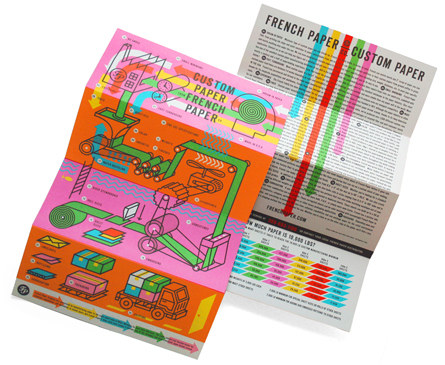 French works with some of the highest end retail companies to provide their own custom papers for specific applications like light boxes, packaging, tags, and labels.